I'm pretty sure the Daydream Believer Shop has the coolest clients. to have the opportunity to create outfits for life's most special occasions! 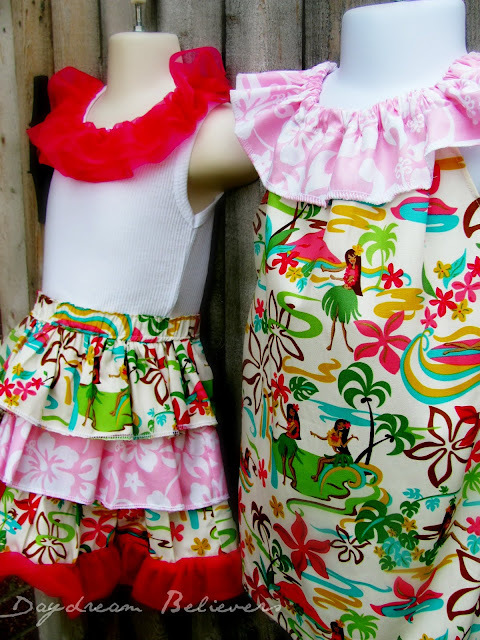 I recently made this adorable set of hula outfits for a set of sisters in Texas! The set came together so well, I just adore it! my favorite Hawaiian-print fabric! 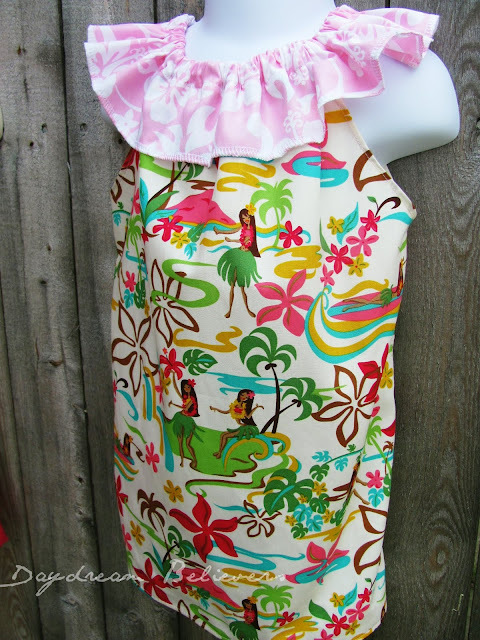 :) Perfect for a luau! 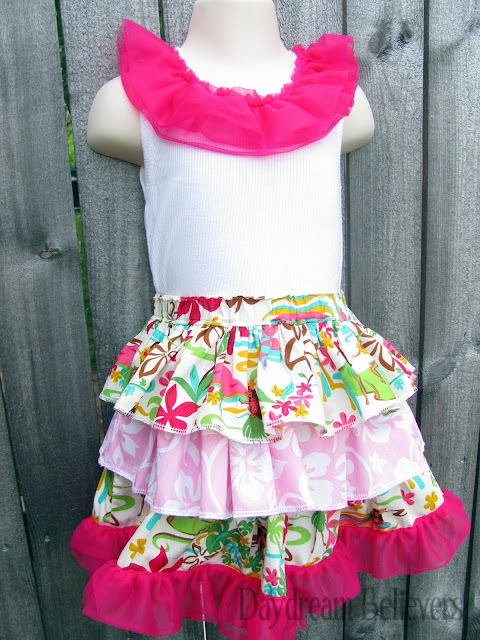 I love the sweet pink hibiscus flowers on the ruffle neckline! birthday girl's dress as well as a bright pink chiffon. custom, luau wear! :) Thanks Maegan for choosing Daydream Believers! Those are going to be the 2 cutest girls on the block - more like the zip code! that material is fabulously adorable! those sisters are going to be rock stars. by the way, thanks for your comment. I take the vast majority of the photos shown here on the blog myself and love when other bloggers feature my work, but please ask first. Fan photos and photos of my children are off-limits. Thank you! Also, all free tutorials on this site are the property of Daydream Believers. I love sharing them for people to use to make items for themselves or gifts but they are NOT to be used to sell. Daydream Believers Designs // Daydream Believer Shop :: Michelle Nordstrom :: 2010-2019. Powered by Blogger.